The U.S. has been investigating Huawei since 2016 for possible violations of export controls and U.S. sanctions related to Iran and other countries. China watchers could recall few arrests at the level of Huawei's Meng Wanzhou by the US. Cross-border arrests of high-profile business executives don't happen that often, making the arrest of a top Chinese tech executive a significant event that is likely to chill commercial relations between the U.S. and China, lawyers and trade experts said. 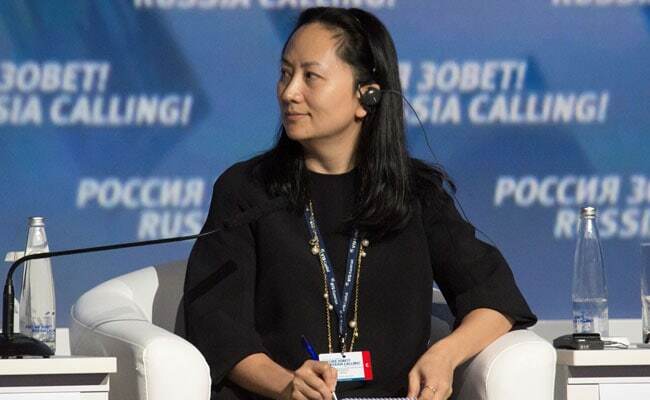 China watchers could recall few arrests at the level of Huawei's Meng Wanzhou, who was detained Saturday by Canadian authorities on a U.S. request. The news is likely to make American executives wary about visiting China in the near term, out of concern over retaliatory arrests, some experts said. "Huawei is China's most powerful, most prized company," said one U.S. lobbyist who spoke on the condition of anonymity to discuss sensitive matters. "I think U.S. executives in the tech space should be afraid. This is very serious." "You're going to find U.S. executives who decide for a few weeks that they'll put off a trip" to China, said Patrick Hanes, a lawyer and co-chair of an American Bar Association committee dealing with international, white-collar crime. Hanes said he was aware of American executives being stopped and questioned by Chinese law enforcement as they departed the country in recent years, though the cases didn't lead to arrests. The Chinese questioned them about their commercial activities, he said, declining to give examples. One of the most high-profile legal battles involving foreign executives occurred in 2013, when China investigated U.K. drugmaker GlaxoSmithKline over suspected bribery. In 2014 a Chinese court found a local subsidiary of GlaxoSmithKline guilty of bribery, and convicted five of the company's managers, including Briton Mark Reilly, of bribery-related charges. The managers were given suspended prison sentences. And in 2010 a Chinese court convicted an Australian employee of mining company Rio Tinto for accepting bribes, and gave him a 10-year prison sentence. In 2013, as China was investigating the U.S. patent licensing firm InterDigital Inc. for possible violations of anti-monopoly law, authorities said they wanted to meet with InterDigital chief executive William Merritt, Reuters reported at the time. When Merritt said he was unable to attend the meeting, Chinese authorities threatened to arrest or detain the employees that InterDigital planned to send in Merritt's place, Reuters reported. An InterDigital spokesman on Thursday confirmed the accuracy of that report, and said China ended its investigation of the firm in 2014. Last year, FBI agents in Miami arrested Volkswagen executive Oliver Schmidt, who was charged with conspiracy to defraud the U.S. The Department of Justice asserted that Schmidt, a German citizen, knew the company's software falsified emissions tests but kept that information hidden from regulators. Schmidt pleaded guilty and was sentenced to seven years in prison. Arrests of top Chinese executives have been less common. Earlier this year, Richard Liu, chief executive of JD.com, one of China's largest online retailers, was arrested in Minneapolis on suspicion of sexual assault. He was later released and returned to China. Minneapolis police completed their investigation and passed the case to prosecutors, who said in September they would study the evidence and decide whether to bring charges. Liu 's lawyers have said he is innocent. The arrested Huawei executive, Meng, is set to appear in court Friday in Vancouver, B.C. for a bail hearing. She was arrested while changing planes in Vancouver. Canadian officials said she faces extradition to the U.S. Meng is expected to face charges in the Eastern District of New York in Brooklyn. While the Justice Department has brought charges against individuals for sanctions violations, it would be "unusual for it to be a high-ranking executive at a large company," said Kelly Currie, a former prosecutor in Brooklyn, where the Meng case is being handled. "It suggests that Iran sanctions remains a high priority for enforcement by the administration," said Currie, who is a partner at Crowell & Moring. "This may be a case where the Justice Department was taking advantage of an opportunity, where an executive who was in their line of sight travels to a country they could be extradited from."